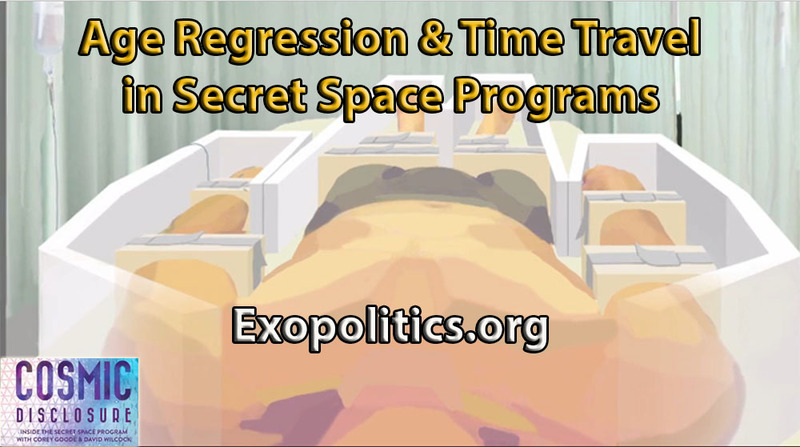 According to secret space program whistleblower, Corey Goode, President Donald Trump issued a highly classified Memorandum soon after his January 20th inauguration ordering the release of group of classified patents concerning anti-aging and health, along with free energy technologies. The Top Secret Memorandum was sent to the Department of Defense and the Intelligence Community, and due to its classification status it will not be accessible to major media for reporting. 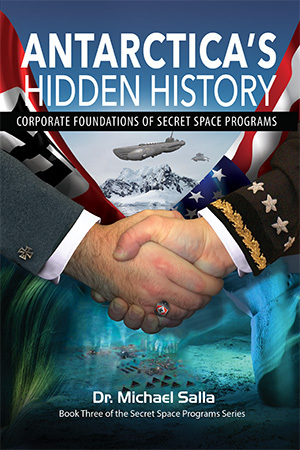 The information received from Goode comes from a senior official in an interagency secret space program comprising the USAF, NRO, NSA, DIA which he describes as the Military Industrial Complex Secret Space Program (MIC-SSP). The official, whom he calls “Sigmund”, is investigating Goode’s claims and conducting an “information exchange” with Goode in the process (see Part One). On March 16, Goode briefed me about his ongoing meetings with Sigmund and/or his two subordinates. The information provided by Goode was originally slated for release in an article, “Endgame III”, as the sequel to the popular Endgame II article and video. However due to the urgency of releasing this information without delay, it was passed on to me to get it out now. In one of his “meetings” with Sigmund (and/or his subordinates) in late January, Goode was told about Trump issuing a Presidential Memorandum to declassify over 1000 patents from a pool of over 5000. Most of the 1000 patents deal with anti-aging and health technologies, yet some deal with material science and biochemistry and a few involve free energy inventions. [W]henever the publication or disclosure of an invention by the publication of an application or by the granting of a patent is, in the opinion of the head of an interested Government agency, determined to be detrimental to national security, the Commissioner for Patents at the United States Patent and Trademark Office (USPTO) must issue a secrecy order and withhold the grant of a patent for such period as the national interest requires. A patent will not be issued on the application as long as the secrecy order is in force. If a secrecy order is applied to an international application, the application will not be forwarded to the International Bureau as long as the secrecy order is in force. When a Department of Defense entity or a member of the Intelligence Community consider a patent to be a threat to national security, then the Patents Commissioner will issue a secrecy order preventing the patent from being publicly released. The current number of patents that have been classified are approximately 5700 according to the U.S. Patent and Trademark Office (USPTO), which matches the information given to Goode by Sigmund. As the above table shows, the number of secret patents that are declassified each year has averaged roughly 0.5 percent annually. Goode learned that the Pentagon and Intelligence agencies told Trump it would take 10 years to release them, but Trump told them to get it done within two to three years. If Trump succeeds in having over 1000 of these declassified over the next two to three years, it would represent 20% of the total. This would be a staggering average yearly increase of up to 2000 percent over previous years. Trump’s Secret Memorandum to the Department of Defense and the Intelligence Community is aimed at ultimately having the Patents Commissioner, who is currently Drew Hirshfeld, lift the secrecy orders issued by his predecessors on the 1000 patents marked for declassification. Furthermore, monitoring the USPTO’s records of Secrecy Orders Rescinded for 2017, will offer a concrete means of verifying that Trump did indeed issue such a memorandum. According to Goode, most of the secret patents ordered to be declassified deal with anti-aging and health. In particular, he said that telomere technology is very advanced in classified projects, and can enable healthy cell reproduction without aging and disease. This is consistent with the claims of retired aerospace engineer, William Tompkins, who says that in early 2016, he was told by Navy officials that anti-aging technologies would be released in a two year period. Tompkins was involved in the original corporate development of anti-aging technologies during his time as a systems engineer at TRW from 1967 to 1971. 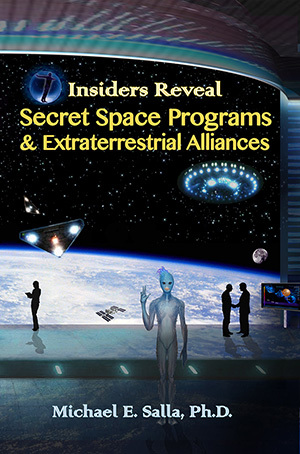 These technologies were subsequently used in secret space programs, which routinely use personnel for “20 year and back” programs that Goode and other whistleblowers claim they were subjected to. The patents for these technologies developed at TRW are likely part of the 1000 patents marked for declassification under Trump’s Memorandum. Furthermore, Tompkins identified the San Diego headquarters of the Scripps Research Institute as being heavily involved in the study of anti-aging technologies, and it will be a major player in releasing these classified technologies to the public. Support for Goode and Tompkins’ testimony regarding classified anti-aging technologies comes from geneticists who have recently publicly identified the genes that control the aging process. In stunning experiments, the results of which have been released in peer reviewed scientific journals, geneticists have demonstrated that they were able to reverse the aging process to varying degrees of success. Declassifying anti-aging patents would revolutionize the medical and health industry, which have already made significant inroads into understanding and reversing the aging process. Another industry that would be revolutionized by Trump’s Secret Memorandum is the energy sector. Declassifying free energy inventions would revolutionize the automotive and aviation industries, and make it easier for private industries such as SpaceX to develop far more efficient and advanced space propulsion technologies. Most importantly, the release of free energy inventions will effectively end the power and influence of the oil industry. In a surprising case of synchronicity, one of the oil lobby’s biggest supporters, David Rockefeller, died on March 20 at the age of 101. Rockefeller was notably known for his staunch support of maintaining the secrecy status quo. The importance of Trump’s Memorandum to the Pentagon and Intelligence Community to declassify secret patents cannot be underestimated due to the revolutionary changes it would usher in. Opposition to such changes helps explain the rumors that Trump would not be allowed to take the office of the President despite the 2016 election result. According to the information received by Goode from Sigmund, Trump was going to be assassinated before or during his Presidential Inauguration. However, the Pentagon in response threatened to launch an open military coup if Trump was assassinated. The CIA, NSA and Department of Homeland Security (DHS) in particular were warned that they would be surrounded by U.S. military personnel, and that top CIA, NSA, and DHS leaders would end up being arrested for facilitating the assassination. Goode estimates that approximately 80% of the personnel in these civilian intelligence agencies are Cabal (Deep State) controlled, while approximately 50% of the FBI is under “White Hat” control. He was told that these agencies refuse to give the same briefings as given to President Reagan (see Part 1) about the MIC SSP, and the handful of alien groups known to them. The impending declassification of over a thousand secret patents will clearly help Trump succeed in revitalizing the U.S. manufacturing industry, and providing millions of jobs. It appears that the release of these patents is timed to coincide with impending disclosures regarding discoveries in Antarctica, where advanced technologies have allegedly been discovered, and which will also have a revolutionary impact on a number of major industries. Continued in Part 3. Click here for Part 1. Many Thanks to Corey Goode for his corrections and suggestions to an earlier version of this article. Thank you for all your work Michael. You lend a strong air of credence and integrity to this topic.